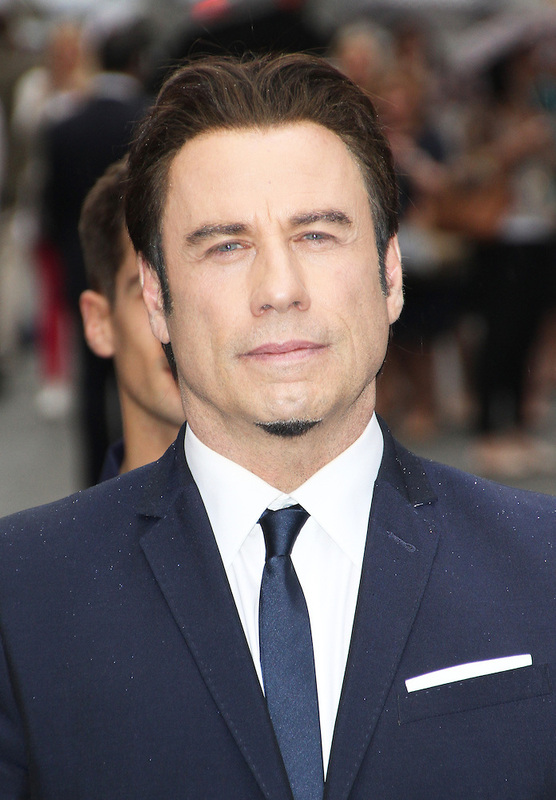 In Italian the word “travolta” has got a precise meaning. It is the feminine of “travolto”, which is an adjective deriving from the verb “travolgere”. This verb means “to sweep away; (figurative) to overwhelm”. A search of “Travolta” through databases of the distribution of surnames in Italy, however, has produced no results. The few Travoltas still in Italy might not have been recorded on those databases. Further researches showed that only one instance of the name had been recorded in Sicily. A man named Salvatore Travolta, 25, is recorded on the List of alien passengers for the United States. He left from Palermo, and arrived at the port of New York in 1904. At this point of the story, all the previous hypothesises are wrong. But at the same time, if it’s true that a man called “Travolta” did exist, it is equally true that the name was a million-to-one shot. Could it be that the uniqueness of the name derived from a mistake in the transcription? To find it out and set any doubt to rest, the next step was to find Salvatore Travolta’s birth certificate. Any marriage or death certificate would prove useless, as we need to go back to the source, before his leaving Palermo. Palermo’s port was, at the beginning of the ‘900s, the main Sicilian port for ships bound for America; passengers came from many of the Southern regions, so finding the birth place of Salvatore Travolta was not an easy deal. Fortunately, some notes on the List of alien passengers came to help. The last living place of Salvatore had been noted: Godrano, a municipality in the province of Palermo. Today Godrano is a small town with a population of about 1200 inhabitants. It dwells under the Northern slopes of Rocca Busambra, at the edge of Ficuzza Forest. 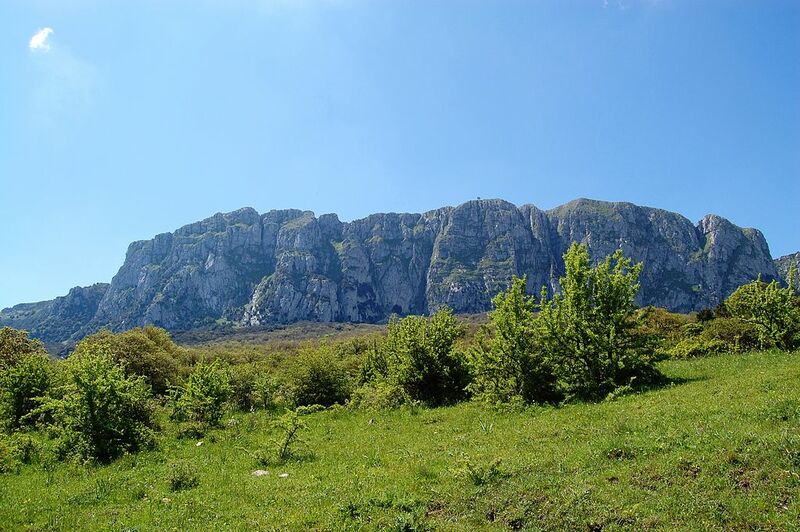 Godrano’s territory offers a variety of opportunities for walking or hiking, and is house to a nature reserve rich in flora and fauna. Local dairies produce a delicious cheese, the “Caciocavallo di Godrano”, appreciated and exported in the whole globe. My mission in Godrano and the nearby villages unfortunately didn’t lead me to anything useful, apart from delighting my eyes and palate. This is how genealogical researches works. You need patience, and no clue can be left behind, however small it may be. Therefore, I moved my efforts to Palermo. But here again it appeared that no one with this surname had ever been in the city. It was as if the mystery of the name wanted to stay concealed, lost in the mists of time. And yet that birth certificate has always been there, hidden in plain sight, though no one spotted it. 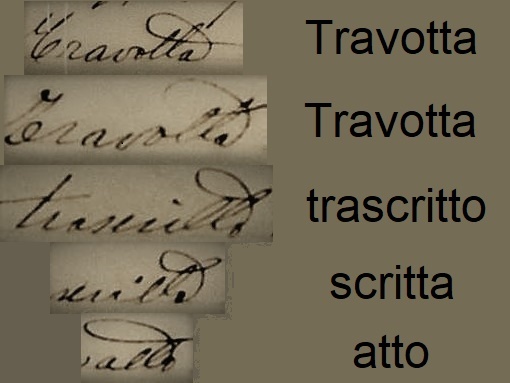 Trying all the possible variants, I eventually hit the jackpot: “Travolta” wasn’t but a wrong transcription of another surname, “Travotta”. “The List or Manifest of alien passengers for the S. immigration officer” had to be filled by an officer of the shipping company before departure, and it had to contain the name of any and each immigrant, as well as several other pieces of information about them. Sometimes, it could happen that the officer might unintentionally change or misspell the name of the immigrant. Eventually the naturalization process would confirm the name and surname of the person, according to the documents in their possession, and so the new name fixed. A birth certificate of Travotta Salvatore can be found in Palermo, stating as birth year 1879.